Federal child labor laws state that the minimum age to work is 14 (with some exceptions). However, child labor laws in each state can vary slightly. Whenever there is a conflict between federal and state laws, the more restrictive law will apply. California's minimum age to work is also 14 in most cases. According to the state's Department of Industrial Relations, the specific rule in California requires children under the age of 18, who are considered minors, to have a permit to work for any job. Usually the minor will get a Department of Education work permit from his school once he's been offered a job. This is known by the cumbersome title "Statement of Intent to Employ Minor and Request for Work Permit." The minor's parents or legal guardian must sign the form, which is to be filled out by the minor and the potential employer. Once the signed form is returned to the school, the permit to employ and work is issued by school officials. Employers have to have a permit to employ from the Division of Labor Standards. Any minor work permit issued during a school year expires five days after the start of the next school year and have to be renewed even if he's working for the same employer. So for example, if a ninth grader gets a job in April and starts tenth grade on September 5, the work permit he received in April expires on September 15 unless he renews it. There's an another requirement in California for some child workers, however, since the entertainment industry is a large employer in the state. California has specific rules regarding minors working in that sector, which apply not only to children appearing on television shows or in the movies but also to minors making recordings, and anyone under 18 working as a model for advertising or other media. The rules state that kids from age 15 days (as in two weeks old) to 18 years working in the entertainment industry must have an Entertainment Work Permit. These are good for six months, and are issued by the Division of Labor Standards Enforcement. There's also a temporary Entertainment Work Permit available for minors in California, good for ten days. Even if the work the child actor or model is performing is non-commercial in nature, a work permit is required. 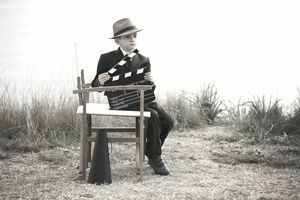 When applying for an entertainment work permit in California for the first time, if the child is of kindergarten age or younger than school age, documentation is required, which can include a passport, birth certificate or baptismal certificate. If the child is younger than one month old, a letter from a pediatrician certifying that the child is healthy enough for the employment activity is required along with the other documentation. And for school-age children between grades 1 and 12, a letter from school officials certifying attendance, health and school records is also required. Besides the Entertainment Work Permit, most of California's regulations for working minors are fairly typical with what other states require.